The Hotel Ateneo is Located in a quiet street in the historic centre and the surrounding area offers a wide choice of shops and restaurants. The Hotel Ateneo is housed on an old building, former house of wealthy merchant families. 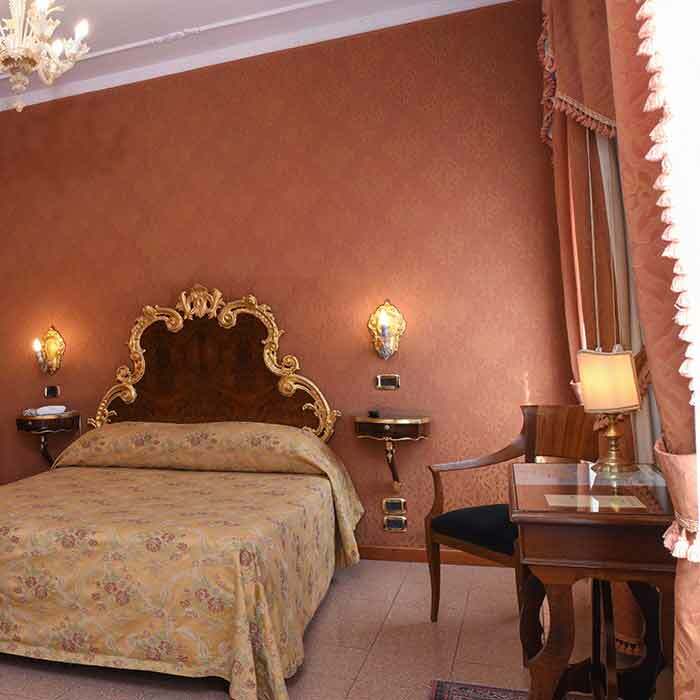 Since 1959 is an elegant and welcoming hotel, and it still boasts the charm of a typical Venetian residence of the seventeenth century. The property is spread over 4 floors and overlooks a beautiful canal where only gondolas can pass through. Enjoy the magical atmosphere of Venice from the privacy of your room. Antique furniture, typical architectural features and Venetian design are combined with modern comforts. Every detail has been thought of to make your stay pleasant and enjoyable, as the atmosphere in our hotel. Every morning we serve breakfast in the lovely breakfast room where our guests can start their day in the best way with pastries and croissants, cereals and yoghurt of all types, a wide range of fruit juices and hot drinks and even some speciality salty such as cheeses and sliced salami and fruit salads, omelets, sausage and bacon, fresh bread, toast. The Hotel Ateneo carries its guests thanks to the experience of a professional multi-lingual staff that will guide you to discover the fascinating heart of Venice. 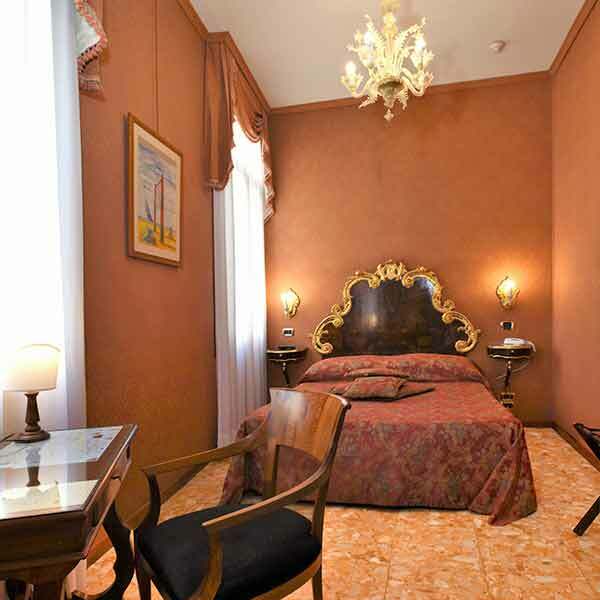 The atmosphere of the rooms of Hotel Ateneo is quiet and relaxing, ideal for a comfortable stay, supported by a highly professional and timely service which has always distinguished the properties of the group’s hotels hotelsinvenice.com. 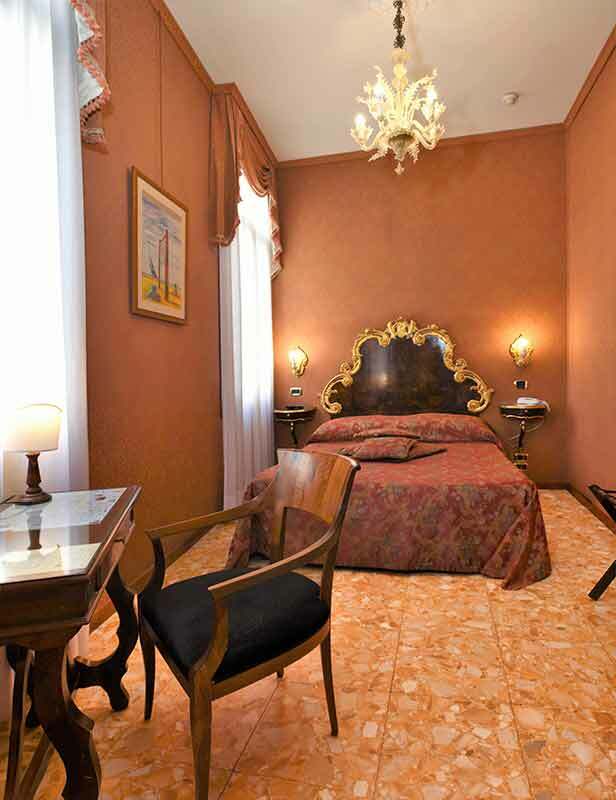 Rooms at the Hotel Ateneo in Venice are decorated in a typical Venetian style, elegant and functional, ideal for creating a warm and friendly environment. The attention to details, the furniture in warm wood furnishings and beautiful fabrics to create an atmosphere of familiarity that immediately puts guests at ease. 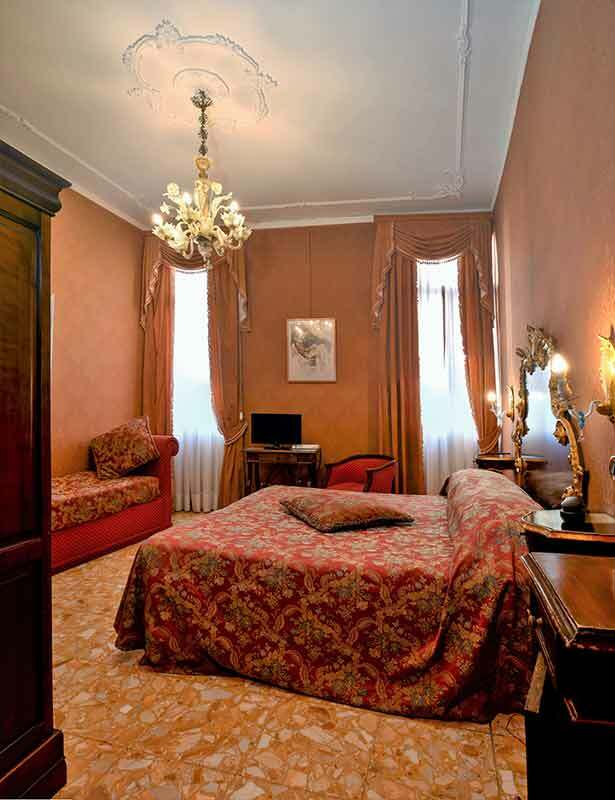 All the rooms in this hotel in Venice have been recently renovated and are equipped with high standard amenities such as air conditioning, satellite TV, telephone, mini bar, safe and sound proof windows and doors to ensure a peaceful sleep for their guests. Each room has a private bathroom with shower and hair dryer including a rich set of toiletries. Any type of room upon booking inside you will find all the amenities. For more information, see the description of the various accommodations.